On the morning of 26 December 2004, Police Boat 813 Buretpadungkit was at anchor about 1 nautical mile off the coast of Khao Lak, where Her Royal Highness Ubonrat Rajakanya Siriwaddhana Phannawaddee was staying at the La Flora Resort with her son and daughters. When the tsunami struck, the boat was swept inland almost 2 kilometers, to where it sits today. The tsunami Police Boat memorial. The boat was left where it landed and is now maintained as a memorial, although there is very little around it except a sign. Some members of the local Thai community would prefer that there were no reminders around of that terrible event. 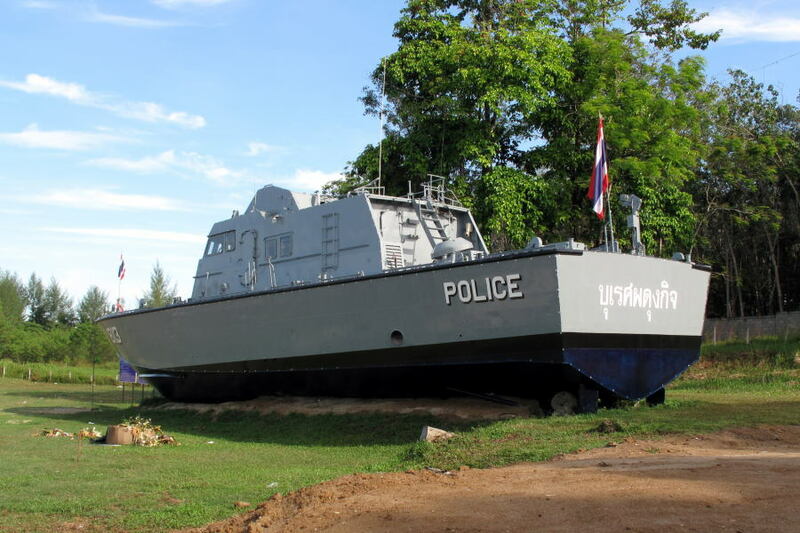 The police boat is located off the west (inland) side of Petchkasem Road, not far from the intersection with the road leading to La Flora. At present, there is no admission charge.